Finding the hidden letters in the given pattern is very interesting visual puzzle type. In these kinds of puzzles, one has to find the hidden letter in the group of other letters. In some of the similar puzzle, type one has to find a different letter in the given set of letters or numbers. 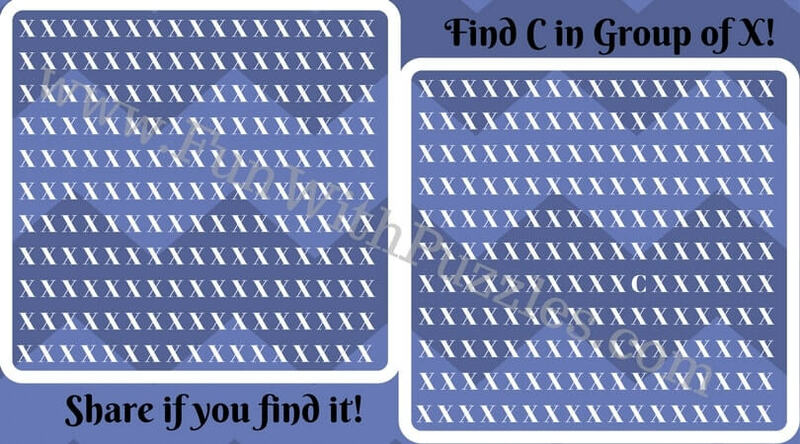 There is one more similar type of puzzles for finding mistakes in the given puzzles. 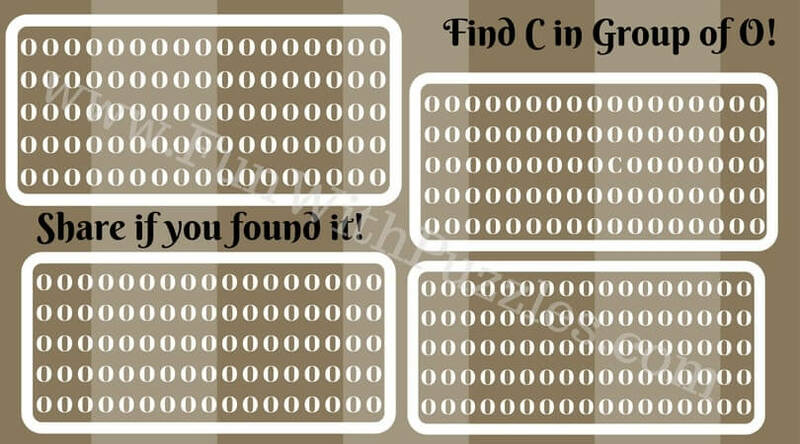 Sometimes it is very easy to find these hidden letters. However, sometimes there are tough finding letters puzzles in which it is extremely difficult or may be tricky to find these hidden letters. 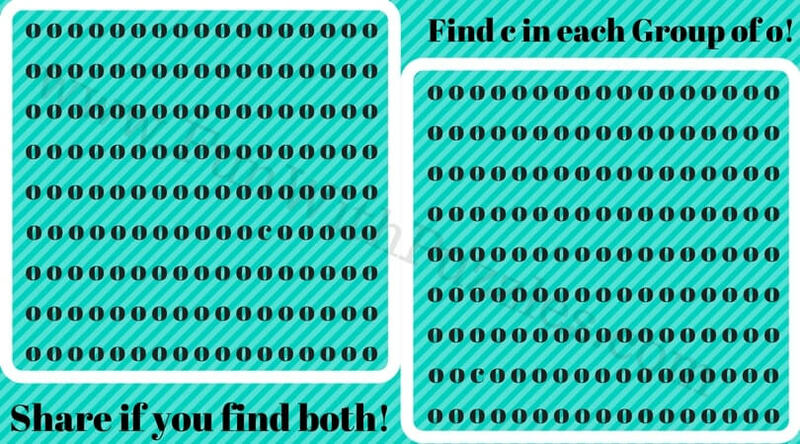 Today's puzzles are easy in which one has to find letter C in all the given patterns. These puzzles are for kids. 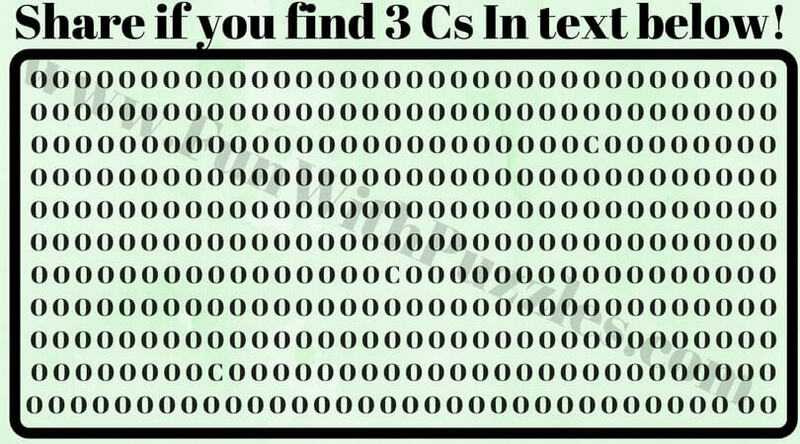 However, the challenge for teens and adults is to find these hidden C as fast as possible. 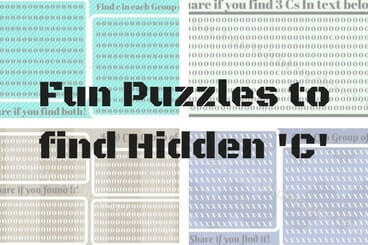 In these puzzles, one has to find hidden C in the given patterns. Some of the puzzles contain only one hidden letter C. However in some puzzles, there are more than two C which you have to find it out. Try to solve these puzzles as fast as possible and maybe try to finish all the puzzles in one minute. So are you ready to take this challenge? Do post your answers in the comment section. 5. 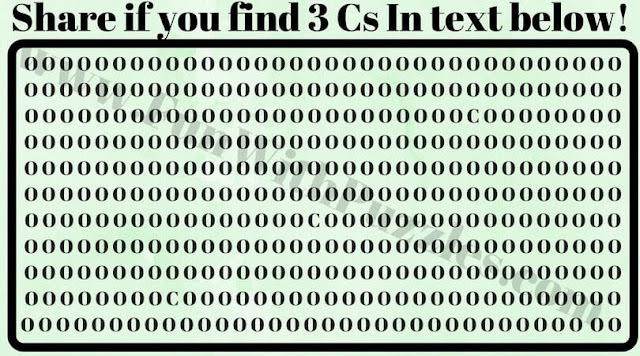 Can you find a hidden letter c in each group?